SOCIETY FOR PROMOTION OF TERRITORY is located in Patna Bihar . SOCIETY FOR PROMOTION OF TERRITORY is registered as a Society at Patna of state Bihar with Ngo unique registration ID 'BR/2009/0013578' . 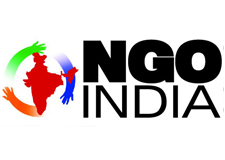 The NGO registration is done by Registrar of Societies with registration number 865 on the date of 22-02-2001, Its parent ORganaisation is PaulFoundation. The Chairman of SOCIETY FOR PROMOTION OF TERRITORY is Pramod Sharma and Chief functionary officer is Manisha Tiwari. 0ur society is working for the upliftment and development of the underpriviledged in both rural and urban sectors. Awareness for education and primary education through primary school forchildren low income groups.Immunization capaigns in the community . Awareness on nutrition and health issues for women and children.Health surveys conducted on different health issues.Awareness on cleanliness and sanitation campaigns.Training on vermicompost and creating awareness on its production and marketing.Establishing Computer institution for the lower income group boys and girls. Awareness campaigns on HIV/AIDS.Under Total Sanitation Programme, building toilets for bpl and apl families.Training Programme for Panchayati Raj Institution.Vocational training for employment to women and girls.